But it also marks the Tour going to one of my favorite courses on Tour at the Riviera Country Club. 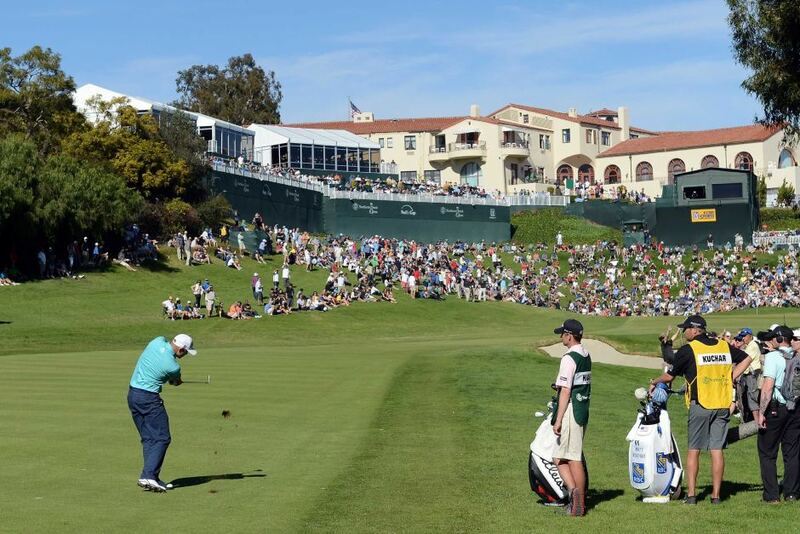 The LA Open started 92 year ago and has been an obvious mainstay on Tour ever since. The history of the course along with the history of Los Angeles and Los Angeles golf has always been intriguing to me. From Hogan’s Alley to Bogie’s Tree on the 12th hole and thinking about the great golf that has existed there like the Johnny Miller vs. Tom Watson vs. Tom Weiskopf 3-Way-Dance in 1982 makes it all special. It’s also a good precursor to the Masters as this is the first course that tests players from the Red Zone in a similar manner that Augusta National does. In fact, there’s a thread between the winner at Riviera playing well at Augusta in April. And then you have the gorgeous view from the clubhouse to the 18th hole. Having said that, it’s not always the most popular course for the players. Riviera has questionable conditioning over the years. A few years back I saw approach shots with 7-irons take one bounce over the flag. The greens can be somewhat lousy. Everybody despises the 10th hole and the 1st hole is a waste of time. And then you have the LA traffic which is no fun. But, this is an important event to watch so you can get a gauge of house the top players are performing coming into Augusta. The 18th hole is the final critical hole. And of course, so is the 10th hole and television, rightfully so, will really focus on it. I have studied the 10th hole extensively and the best play is pretty clear on the front and middle pin locations…is to go for it. Not going for it on the front and middle locations takes eagle out of play and the bail out is pretty easy if the player gets in trouble off the tee. I suspect they will have the pin in the front location on Friday and on the middle location on Saturday. They then put the pin in the back location. The real pickle is the back pin location. Over the past few years there has been no clear and decisive strategy that wins out on #10. This is mainly because of the firmness of the green. I tend to believe the firmer the green, the better off the player would be to lay up. But even still, that is not a significant advantage. In the end, I think the player either needs to lay up (and make sure to lay-up left enough to give themselves an angle into the green) or if they go for it and don’t have much of a shot, just try to get the ball to the front of the green and try to 2-putt from 50+ feet and get out of there.